After downloading any free ebook reader app listed on this page, make sure to check out The eBook Reader Blog for the latest free ebooks from Amazon, Sony, B&N, and others. And don’t forget the free ebooks page for a list of websites that specialize in free ebooks. In addition, there are more free ebook reader apps listed on the app section of the Blog. Provides access to the Kindle Book Store with up to 750,000 ebooks available for immediate download (book rights vary by country). Read the beginning of any book for free before buying. Add notes and highlights, and automatically syncs them across all devices registered. Change background color to white, black, sepia. Add unprotected MOBI and PRC files to the folder to view. Syncs last page read over all registered devices. View notes and highlights marked from other devices. Compatible with Windows 7. You can Zoom with a pinch of your fingers and turn pages by swiping a finger across the screen. Access B&N’s ebook store and download from a mobile device’s browser. Read samples of ebooks before buying. Bookmark, note-taking, and highlighting features. Adjustable font sizes and margins. Mobile devices can look up words in the dictionary, Wikipedia, and Google. There is a free Mobipocket Creator software called Home Edition that you can use to create and publish your own ebooks, personaldatabases, photo albums, and more from templates. In addition, there’s a more advance Mobipocket Creator called Publisher Edition that can import Microsoft Word and Text Files, as well as convert Adobe PDF files to MOBI format. This works well for people who own a Kindle 2; it allows the conversion of a PDF into a more user-friendly format, and can eliminate some issues with compatibility. 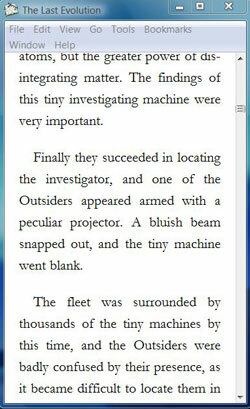 As you would expect, Microsoft’s free ebook reader isn’t particularly user-friendly. 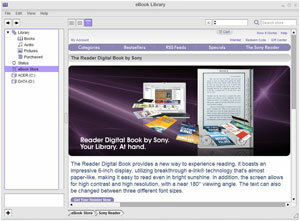 It only supports LIT format, and you can’t import files; you have to register before you can view any ebooks, in fact. But you’d better use Internet Explorer or Netscape, because in typical Microsoft fashion, you cannot activate the reader with a Firefox browser or any other browser. 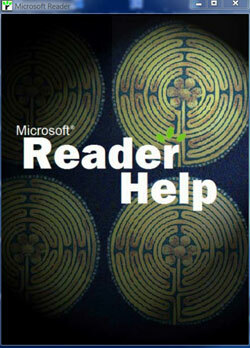 Despite these annoyances, Microsoft Reader has a lot of features. It supports four different font sizes, five clear type settings, full screen, an optional text-to-speech download, and offers highlighting, bookmarks, notes, and drawings. Plus, you can view annotations and rename or erase them at any time. It also allows users to create LIT documents from Microsoft Word documents using an additional add-in. More features include Zoom for Pocket and Tablet PCs, as well as rotate and resize. There are search options and dictionary support too. Microsoft boasts over 60,000 titles to choose from on their website, and there are some free ebooks too. 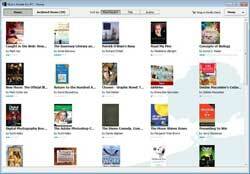 The free ebook reader software is also available for Tablet PC and UMPC, as well as Pocket PC. Stanza is a free ebook reader software to read ebooks on your PC or Mac and share with your iPhone, iPod Touch, and Kindle 2. It has a number of features like text-scrolling, multiple font sizes, advanced column layouts, and much more. 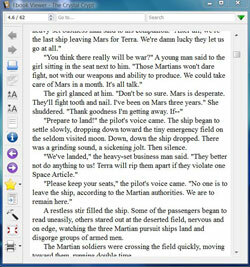 Stanza Desktop supports HTML, PDF, DOC, RTF, as well as unprotected Amazon Kindle (AZW), MOBI, LIT, Palm Doc (PDB), and EPUB. The biggest thing about Stanza is the free iPhone application that makes it possible to read all your favorites ebooks anywhere on your iPhone or iPod Touch. Stanza can export to MobiPocket, enabling the use of the MobiPocket Reader to read your exported ebooks on your Blackberry, Pocket PC, Palm OS, and many other mobile devices. 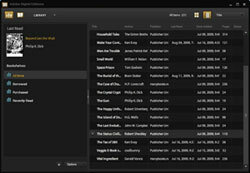 Stanza Desktop has a built-in export feature especially for the Amazon Kindle. PDFs, Word documents, and other ebooks can be exported to the Kindle’s native format (AZW) and copied over to the device using a USB cable. 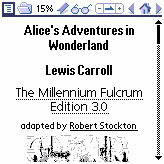 Plucker is a free ebook reader program for Palm OS based devices, Pocket PC, and other cellphones and PDAs. It is an open source offline HTML viewer. Features include clickable images that can be zoomed, high-resolution fonts and nine different font types, gesture navigation, rotating display, configurable toolbars, and customizable interface, to name a few. You can download ebooks for Plucker on the their website, as well as from several sites like Project Gutenberg and Manybooks.net. Links to these sites can be found on the free ebooks page.